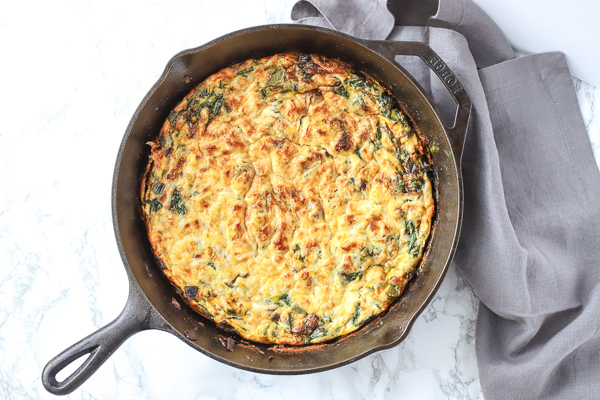 This spinach frittata recipe is the perfect breakfast or brunch that your family will love. 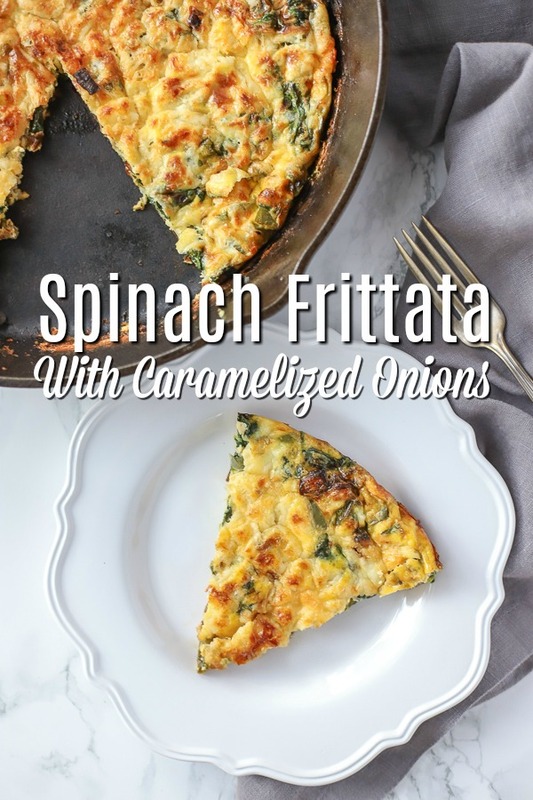 Fresh baby spinach and caramelized onion gives this frittata a robust flavor. This breakfast is hearty, healthy, and filling. Follow my tips below to make this wonderful family favorite. 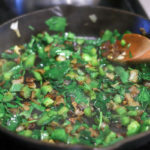 Ingredients you will need: onion, fresh spinach, green pepper, eggs, milk, salt, pepper, and butter. 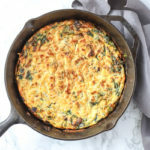 I love the idea of the simplicity of a frittata. Doesn’t it sounds great? A nice warm breakfast on the weekend before the hustle starts: running around between plans, church, family time, or whatever else we have going on that day. I like the idea… because in reality, my oldest hates eggs, and even if we give them to her every day, she will refuse to eat them. Trust me, we have tried a million and two times to get her to like them in every way possible. She does find that she likes them in cake and cookies, though. Me too, kid. That is a total parenting win. 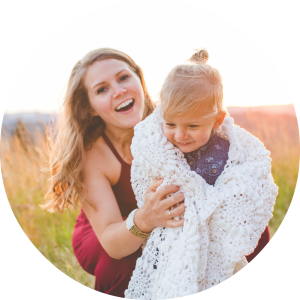 One, I’ve taught her to compliment well… but to get your child to try something they don’t like, that is also packed full of healthy veggies, is a serious win. Thankfully, she is pretty willing to try new things and rarely do we have to enforce the one bite rule. We always want to encourage trying food, so the rule is they have to at least take one bite, and if they don’t like it, then they don’t have to eat it. This has taken a lot of pressure off of everyone, and more than likely, when they try the bite, they love it. Who would have thought? Oh yea, me! By the way I talk on here, you would think that she is a picky eater. Truth be told, there are only three foods she refuses to eat. Eggs, mushrooms, and yogurt. Although with this berry frozen yogurt, she has changed her opinion. So now with this frittata, I guess it’s only one. Spinach frittata for the win. To get the best flavor, caramelize the onions. This takes a little bit of time, but trust me, it’s worth it. If the frittata puffs up really big, just poke a few holes in it and the steam will release. To get the eggs a little brown without overcooking them, put it under the broiler for a few minutes. Pick your favorite type of hard shredded cheese. We use goats milk cheddar. Use an oven-safe skillet so you can easily pop this baby in the oven. Large bowl (this one is my favorite and it goes right into the stand mixer), oven-safe skillet (I use this one), spatula, whisk, cutting board, knife, and liquid measuring cup. 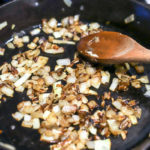 In a large skillet, place butter, onions, and a dash of salt on low-medium heat. While the onions are cooking, rough chop the spinach, grate the cheese, and dice the pepper. In a large bowl, crack the eggs and whisk in the milk, salt, and pepper. After the onions are pretty caramelized, add in the green peppers and cook until softened. Pour egg and milk mixture into pan and allow to cook for 3-4 minutes, mixing the eggs with the spinach and pulling the spinach up to the top. Top with cheese and bake in the oven for 15-20 minutes until completely cooked. If you want it to be a little browner, pop it into under the broiler for 2-3 minutes. Allow to brown for a few minutes, and serve. Want some more delicious breakfast ideas? Try some of our favorites! French Toast Casserole With Blackberry Syrup is sooo yummy! Bacon, Egg, and Marionberry Brunch Biscuits are a take on a really delicious order I had a restaurant once. Gluten Free Apple Muffins are a delicious make-ahead breakfast. 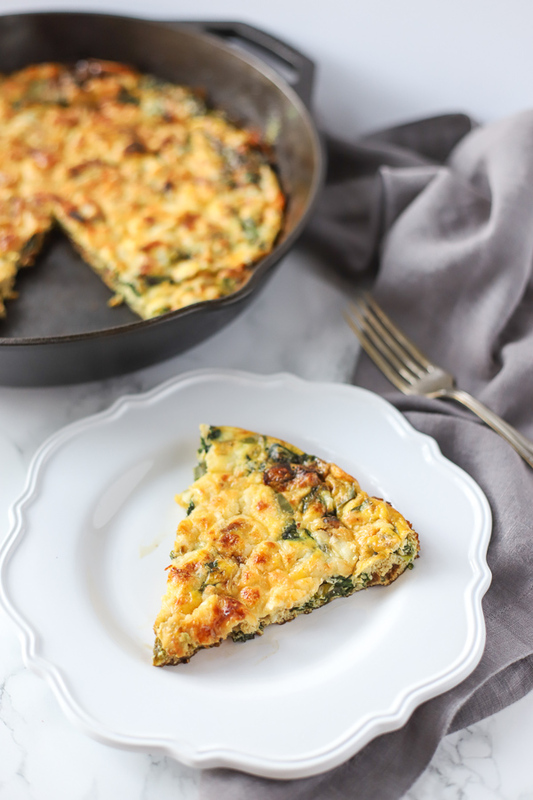 Spinach Frittata bursting with flavors is a healthy breakfast. In a large skillet (mine is a 12 inch cast iron), place butter, onions, and a dash of salt on low to medium heat. We are trying to caramelize the onions so this takes quit awhile. This also gives it a much richer flavor. If you don't have a ton of time than just saute until soft. While the onions are cooking, rough chop the spinach, grate the cheese (if not using pre-grated cheese), and dice the pepper. Preheat oven to 400 degrees.In a large bowl, crack the eggs and whisk in the milk, salt, and pepper. After the onions are pretty caramelized add in the green peppers and cook until softened. Pour egg and milk mixture into pan and allow to cook for 3-4 minutes mixing the eggs with the spinach and pulling the spinach up to the top. If you want it to be a little browner, pop it into under the broiler for 2-3 minutes. Allow to cook for a few minutes, and serve. 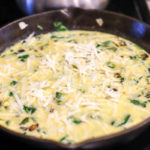 What are your favorite frittata ingredients?